Who were the parents of Lydia Miner, who married Russell Lamphear in 1807 in Preston, Connecticut? Last time, several people mentioned to me that surely deeds and probate would solve this. Trust me, if deeds and probate of any person connected to this, whatsoever, would have solved this, I would have found it long ago. I have even gone through decades of Minor/Miner probates in the surrounding counties, looking for candidates to be Lydia’s father. 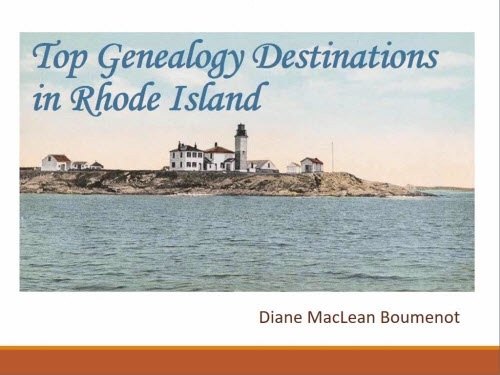 Sadly, this is where southern New England’s 19th century history begins to interfere with our genealogy research. Lydia’s husband had very few deeds because he moved to the early factories and worked all his life for others, usually renting, and only occasionally owning a piece of a property; certainly he had no early deeds related to Lydia’s connections. And I suspect Lydia’s father did not leave a farm to pass down, thereby limiting the need for probate for him, whoever he was. Sometimes, problems around 1725-1750 can actually be easier. To begin at the beginning, Lydia was born. This occurred in approximately 1786, based on her death record. Since Lydia married, in 1807, Russell Lamphere, originally of Westerly, R.I. (and at the time of the marriage, reportedly a resident of Norwich, Conn.), Lydia may reasonably have been born in either Rhode Island or Connecticut, since I have no idea at what point she met him. Since much more is known of Russell’s life, we’ll review that next time in an effort to determine the possible meeting place of the couple. The newspaper listing for the marriage (see part one) mentioned that it took place in Preston, Connecticut. To pursue this clue, deed, probate, census and vital records from Preston must be examined. Although she was never in an 1850 or later census, Lydia’s known children were enumerated many times in the federal census and gave a birthplace for her. Death records for any of Lydia’s known children might give a birthplace for her. Combining the clue (from part one) that Lydia and her husband were Methodists, explore any Methodist churches in Preston (although clearly she did not necessarily grow up Methodist). Look for surviving Methodist church records from Norwich Falls to see if Lydia transferred from another location. Maps – To review the state of records for Preston, Connecticut, I first examined the map. I also pulled out some New London County history books. Part of New London County, Connecticut, bordering Rhode Island, showing Norwich and nearby Preston/Griswold; also Westerly, R.I. and Stonington, Conn.
And right away, as I reviewed the history of New London county towns, I realized something. Griswold, Connecticut was not set off from the town of Preston until 1815. Therefore in 1807, when Lydia married, the area of both Griswold and Preston would have been referred to as Preston. This is especially interesting because Griswold borders the Windham County town of Plainfield, something that will figure in this story when I talk about Lydia’s husband. Southwestern Preston also extended slightly further west in 1807 with a strip a land that was re-incorporated back into Norwich in 1901. In a way, that makes Preston barely distinguished from Norwich, and makes me think Russell and Lydia could have been close neighbors, perhaps working in the same Norwich cotton mill. No Minors appear in the 1810 Preston census. Probate – from New London County records on Familysearch.org. These are from various New London County towns; none appear to be from Preston residents. Elisha Miner, (presumably of East Lyme where he and his wife Ruth Robbins are buried – Thomas Miner book p.69), Court of Probate, District of New London. Book N (16 Sep 1786 – 11 Aug 1794): 32, 233, 239. Page 232 with most of the will is missing; will mentions sons Elisha & William. Inventory, undated, approx. June 1792. Daniel Miner, late of Lyme. (Rev., born Norwich, of “Separates” church. 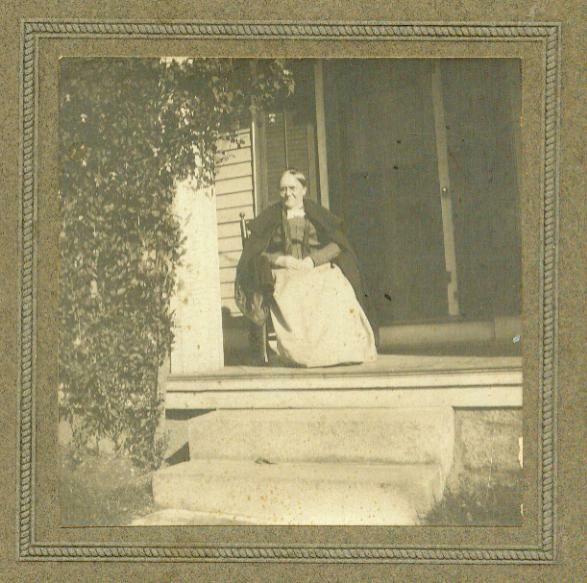 Son of Abigail Turner, m. Amy Smith – Thomas Miner book p. 65). Court of Probate, District of New London. Book unlabeled (January 1799-1801): 201, 207. Will presented Oct 1799. Mentions numerous adult children. No Lydia. 12 (1792-1797): 554. 9 January 1797, Elisha Miner of Preston for 170 pounds a lot (same as purchased from Luther Thurber) to William Pollard. William Pollard to support the north fence. Witn: Elias Brown and Obadiah Chapman. 13 (1794-1803): 9. 28 June 1790 (recorded 8 May 1797), Benjamin Green of Boston for 100 pounds quitclaims unto Elisha Miner of Preston land and buildings at Pauquatonnock on which an execution against Samuel Capron was levied on 15 September 1788. 13 (1794-1803): 287. 13 October 1800, Elisha Miner of Preston for 300 dollars sell to John O. Miner of Groton half of a dwelling house in Pauquatonnock village with land as described. Neighbor: Ebenezer Penderson [?] (house and lot formerly owned by Samuel Capron). John O. Minor signed a note for 280 dollars to Simeon Minor naming Elisha Minor as surety. Witn: Simeon Miner, John Elderkin. 18 (1822-1829): 17. 7 January 1822, Elijah Brewster of Preston for $120.65 sells to John O. Minor Jr. of Groton 60 acres. Neighbors: Shipley Halsey, Elisha Brewster, Absolom Pride, [?] Smith. Failure to pay note of $120.65 will void this deed. Witn: Ralph Hurlbut, Gilbert A. Smith. 18 (1822-1829): 58. 13 June 1822, John O. Miner Jr of Groton for $170 quit claim to Elijah Brewster of Preston 60 acres in Preston. Neighbors: Jeremiah S. Halsey, Elijah Brewster, Absolom Pride, Thomas Smith. Witn: John O. Minor, Benjamin Stoddard. There were several books containing vital records at the town hall, including church records and one about support of soldiers’ families after the Revolutionary War. A couple of Minor women married around 1700. Nothing since then. The New London County probate records mostly eliminate the possibility of Lydia’s being a daughter in that family, and no probate records are from Preston. The rest are inconclusive. 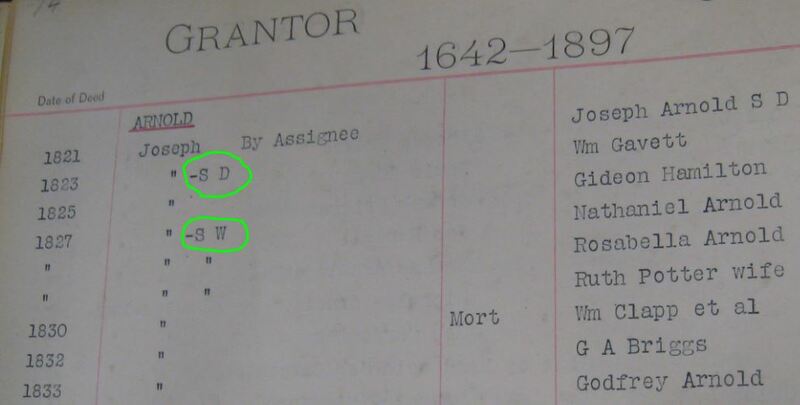 Probably the most interesting result is that only one family, a set of two brothers, shows up in Preston deeds. John O Miner was a doctor in Groton, Connecticut with a large family. It seems almost incomprehensible that a daughter would marry in Preston, away from his family. Elisha Miner, his brother, did not marry until 1792, too late to be Lydia’s father. The thought that Lydia could be an orphaned niece, say, in this family is not backed up by any connections found in the book, but it’s interesting to keep track of this family for future reference, as other evidence is found. The Minors mentioned in the earlier deeds, asking for re-analysis of old land boundaries from long-ago grants of land, are not findable in the book without further evidence. I should add that I would never rely on the Thomas Minor Descendants book for anything other than clues. The book is extensive but essentially unsourced. Conclusion: we will refer back to these records as new clues arise from other sources. My copy of Thomas Minor Descendants. The colorful tabbed notes refer to DNA connections I’ve found. At this distance in time, in New England, it’s almost impossible to know why I am connected to someone through a small matching DNA segment. But it’s kind of fun to look around. Of Lydia’s 14 children (more another time on them), the known children who lived until 1880 reported the birthplaces of their parents to the census enumerator as follows. 1880 census: both parents were born in Connecticut. 1880 census: both parents were born in Rhode Island. 1880 census: both parents were born in Rhode Island ( and 1900 census, same). 1880 census: father was born in Rhode Island, mother was born in Connecticut. Only the children who mis-identified their father’s birthplace (by assigning him to Connecticut) said that Lydia was born in Connecticut. But if Lydia WAS born in Connecticut, that fact may have tipped the balance of their thinking. When the answer was split, Lydia was placed in Connecticut. Although two independent sources confirm that Lydia and Russell had 14 children (footnote 2 of part 1 and another source to be detailed along with her children, later), I have tentatively identified only 10 of them, because the births were not recorded. My hope, here, is to see a death record that names a place of birth for the MOTHER of the deceased person. That fact is sometimes included in formal state death records by the late 1800’s. I have seen enough of Connecticut death record books in person to know that no place of birth for the parents will be included, but perhaps a son or daughter died in a location where there would be such a record (like Massachusetts). Tracing each of Lydia’s children has been challenging and I have a known place of death for only seven, of which four died in Connecticut. Lucy Ann Lamphere Cook died in Burlington, Kane County, Illinois in 1865 – I have not found a death record for her yet. Williard/Willard Lamphere, who lived for a long time in Iowa, died in Wyoming in 1902, I am seeing only a grave, not a death record. 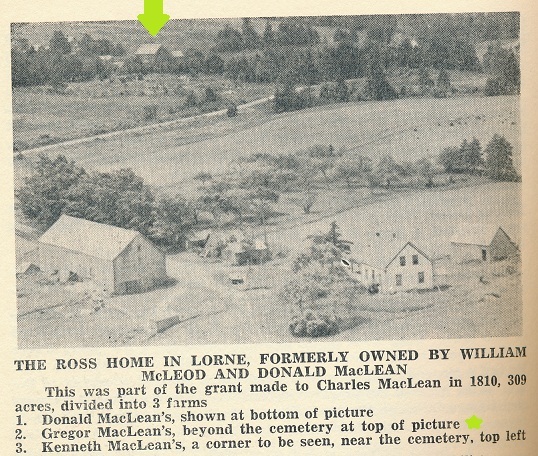 My ancestor Russell Lamphere died in Cranston, Rhode Island; no birthplaces of parents given. So, struck out on this one. (4) Methodist church in Preston? I’m not finding a lot of information about early non-Congregational churches in Preston. Consulted D. Hamilton Hurd, A History of New London County, 1882, chapter LXXII, “Preston”, page 595-604. (5) Methodist church in Norwich Falls? An 1833 map of Norwich shows a Methodist Church in the Falls area where Russell and Lydia lived (evidence for their life in The Falls will be covered next time in Russell’s life story). A Map of Norwich from Actual Survey by William Lester Jr, 1833; close up of The Falls area. The “M” and the orange box indicates a Methodist Church. In May, 1825, a small church was dedicated at the Falls village, and for several years the members from the Landing resorted thither for public worship, forming but one church and society. This gives the impression that the small church was not viable for long. Nothing I’ve tried has brought up a manuscript record set for that church; maybe someday, though. If I ever get to the New London County Historical Society I will check out anything related to Methodist churches, or to The Falls area of Norwich. While it would be nice to find records, they probably wouldn’t reveal much because Lydia only lived there as a married adult, not as a child. Since Russell and Lydia married at typical southern New England marriage ages – he, about 30, she, about 20 – it’s possible they met as young people. So I must consider the town where Russell grew up: Westerly, Rhode Island. Lydia was likely born in 1786. 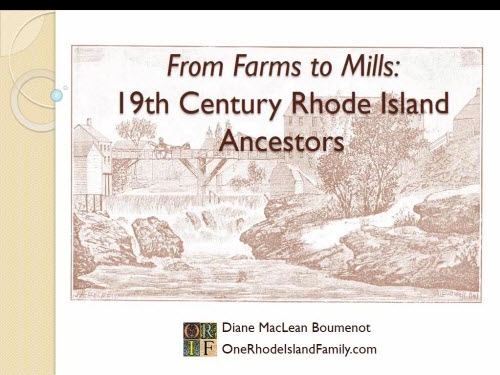 I reviewed the early census records for Westerly and surrounding towns, the searchable issues of Rhode Island Roots, and Records of the Colony of Rhode Island. 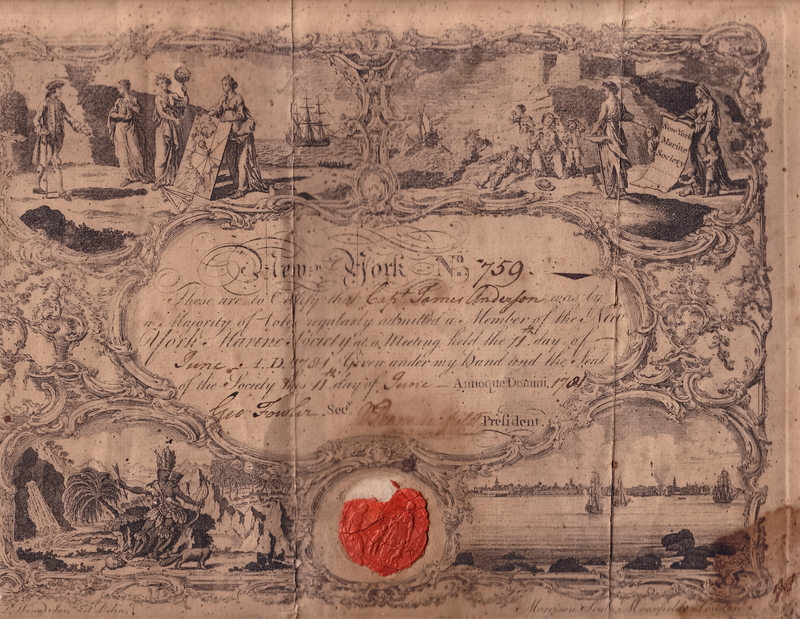 According to the Records of the Colony of Rhode Island, Asa Minor served as an Ensign in Colonel Greene’s battalion during the Revolutionary War (8:230) and Phinehas Miner sold to John York, in September 1778, a ton of pig iron. Phineas Miner in the 1790 Federal Census, Westerly, R.I. Notable, for a year when Lydia should have been a toddler, Phineas shows no wife or children. He is living alone. But what I realized about this record, after many years of investigating this extended family, is that “Joshua Vose” and “John Tift” are significant to the Lampheres. Russell’s youngest brother, Daniel Lamphere, married a daughter of John Tefft and Daniel was also connected to the Vose family in a way that I believe is connected to another wife. This makes Phineas more significant, but even The Thomas Minor Descendants asserts that Phineas was single all his life. He had a brother Asa who married Jane Lewis but, reportedly, also died childless. 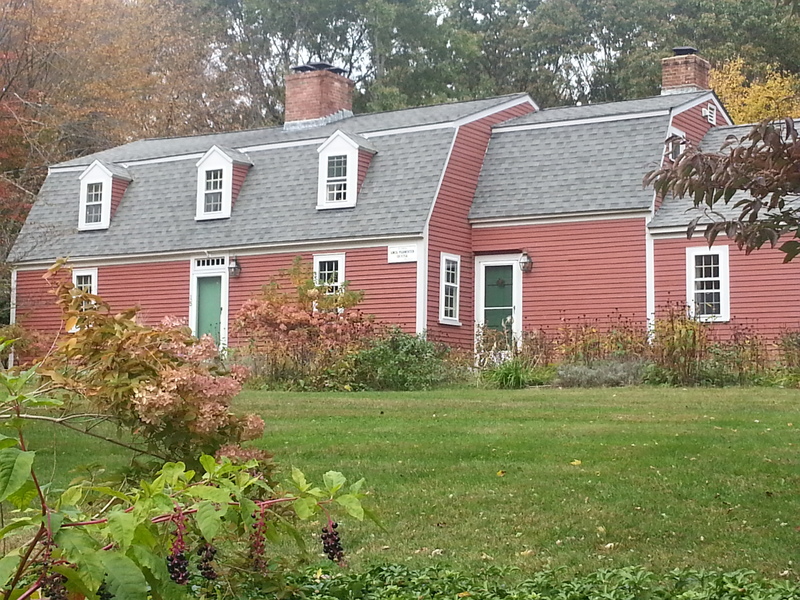 Their extended family were residents of Stonington. On Fold3.com, Simeon Miner is included in [Col. John] Topham’s Regiment and Battalion (folder 53, page 164, person 11) on 17 January 1779. The Lydia Minor mentioned in the book that is closest in age to this Lydia is Lydia, the daughter of Lodovick and Jerusha (Peabody) Minor of Stonington, Conn. The book includes her but gives only her birth, no further details of her life. Other trees online claim that she married Paul Maine in 1811 and died in Pharsalia, Chenango County, New York in 1874. There was no death record. The daughter of Lodovick and Jerusha COULD be my Lydia Miner, but there’s direct evidence that the entire family ended up in central New York, so I’m not going to re-investigate at this point. So far, I have collected some puzzle pieces that are not fitting together. In the next post, I will keep going with some evidence I have about Lydia’s husband Russell Lamphere, and see if any pieces start fitting together at all. Russell had a number of associates that might, somehow, be related to Lydia. We’ll look at them. Westerly, R.I., Council and Probate, 8 (1798-1818): 350-352. Benjamin Tinkham Marshall, editor, A Modern History of New London County Connecticut, 3 vols. (New York: Lewis Historical Publishing Company, 1922), 1: 2 and 1: 216. John Augustus Miner, Thomas Minor Descendants 1608-1981. (Trevett, Maine: 1981). See particular notes in green for page numbers. I’ve decided to revisit a brick wall ancestor, my 4x-great grandmother, Lydia Minor, and to create, along the way, a complete guide to this journey. I hope readers with their own Rhode Island brick walls will follow along, and perhaps choose one problem to explore on their own as this goes on. The problem originates in Rhode Island but then veers westward; something that many readers will identify with. I’m not kidding when I say this will probably take years. I chose this problem because it’s pretty hopeless. Eight years has not solved it yet, so there is no low hanging fruit. It should be/would be/could be solvable – the Minors of southeastern Connecticut are pretty well known – but this particular individual has eluded researchers up to now. Lydia Minor is the great-grandmother of my mother’s grandfather, Russell Earl Darling. The problem, if it is ever solved, will be solved by devising and implementing strategies, which will often involve seeking connections between small details that can be gleaned about Lydia and her known family. So, let’s strategize. I absolutely need an “X-RAYS BOX.” Right away. It’s important to state, in writing, the question. The question needs to narrow down the focus, but also to refer to specific people. OK. Now I know what I’m looking for. I’d like to begin by showing the little I know about who Lydia Minor really was, so that readers will begin to appreciate her as much as I do. At Preston, Mr. RUSSELL LAMPHEAR, to Miss Lydia Miner. The marriage was recorded in a Norwich, Connecticut newspaper as happening in Preston (Connecticut), the town immediately east of Norwich. When I review facts on the husband, Russell, it will be clear that he was living in Norwich at this time, having recently moved from Westerly, Rhode Island. With few Minors in Preston, no clues have surfaced to connect Lydia or Russell to Preston. 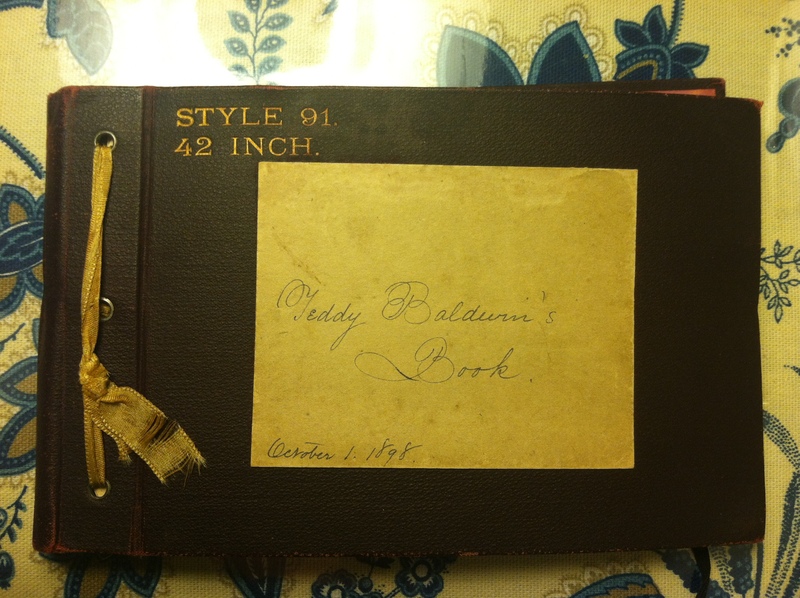 But embarrassingly, I now realize that although I have consulted The Barbour Collection of Connecticut Town Records, Preston 1687-1850, Parts 1 & 2, some New London County probate districts via microfilm at the NEHGS library in Boston, and some Preston deeds at the Family History Library in Salt Lake City, I have never been to Preston Town Hall. And there’s nothing like going to the town hall. Well, that’s why we’re doing this! Adding it to the list. “Miss” Lydia Miner is an indication this is a first marriage. Based on her age (from her death record, coming up) of about 20 or 21, that was very likely anyway. The scanty 23 January 1849 death notice for Lydia at least gives an age, 62. The notice, in a Norwich, Connecticut newspaper, specifies that the death occurred at “Norwich Falls.” The Falls is a neighborhood that became industrialized thanks to water power in the very early 1800’s, and (as will be reviewed in the future) evidence points to Russell and Lydia spending many years there. Lydia died on 18 January, 1849, still married to her husband Russell. Her age in January, 1849 of 62 years suggests a birth year of 1787 or, even more likely, 1786. Russell certainly knew how old she was, but who the source of this information was, and whether it was reported directly to the paper for insertion or copied from some town record, is unknown. No death record was found on three separate searches in the Norwich Town Hall or in the printed two volume set, Vital records of Norwich, 1659-1848. 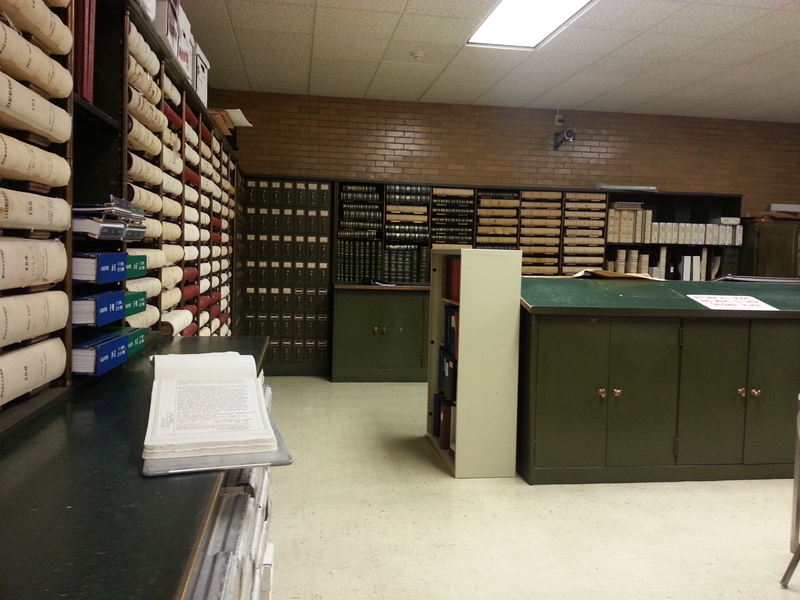 Also none was found at the Connecticut State Archives in Hartford. Western papers please copy is a good indication that Lydia had loved ones west of Connecticut. Although only one son and one daughter are specifically known to have headed west, this is something to keep in mind as the children are explored. I think for a woman who married in 1807 and had 14 children, being remembered in this manner by a loving son 50 years after her death is very sweet. Note that the “genial old gentleman, fond of stories” was Lydia’s son William Lamphere, and the rest of the paragraph refers to Lydia’s husband, Russell Lamphere. Lydia and Russell not only had 14 children, but seven were girls and seven were boys. Lydia did all her own housework (I do know that several of the oldest children were girls, which was probably a help) and met “the demands of society” which I take to mean she led a normal life and interacted with her community. The Lampheres were Methodists. Good to know. The clue about the children living long lives is barely true, as a child-by-child examination will show, but clearly some of them did. Visit Preston Town Hall to seek birth and marriage records for Lydia, and take a careful look at ALL Minor records in the deeds and probate (although Connecticut separates probates into “districts” I notice the towns often have older materials on hand). Review Thomas Minor Descendants 1608-1981 by John Augustus Minor to build a list of all the Lydia Minors that are not the right one. I’ve done this before, but I think I’ll start fresh. Also, in that book, explore Minors who were ever resident in Preston. 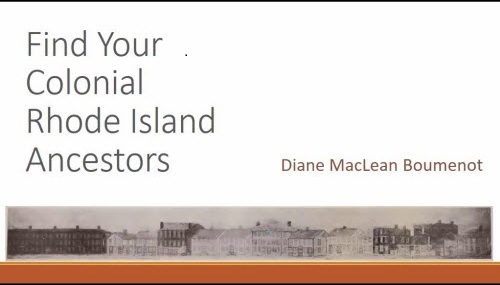 Review historical background materials on Norwich and Preston. Investigate Methodists churches in Norwich Falls in the first half of the 1800’s. Carefully review available record sets for Norwich and Preston on Ancestry.com, AmericanAncestors.org, and FamilySearch.org, as well as any Revolutionary War records on Fold3 for Minors/Miners from Preston. I haven’t reviewed web resources on this for a while, and it changes quickly. Consider a visit to the New London County Historical Society in New London, after the review is well underway and the research plan is more fully developed. While I don’t have a picture of Lydia of course, this photograph is of her daughter, Lucy Ann (Lamphere) Cook, 1808-1865. From the collection of L. Buck, used with permission. Next: Starting from the beginning, I’ll review the early life and residences of Lydia’s husband Russell, trying to determine where he met Lydia. “Married,” The Courier (Norwich, Conn.), 20 May 1807, p. 3, col. 3; image copy, GenealogyBank.com, (http://www.genealogybank.com : accessed 18 June 2011). “Letters from the People : Old Times and Old Folks,” Norwich (Connecticut) Bulletin, 12 September 1898, p. [unknown], col. 3. “DIED,” Norwich (Connecticut) Evening Courier, 23 January 1849, vol. VII, no. 141, whole num. 541, p. 3, col. 1.